Rajshahi University Admission 2018-19 test will be held on October 22 and it will continue until October 29, 2018. It will run for seven days. The Main Admission process starts from September. Students can’t apply the second time for Rajshahi University. 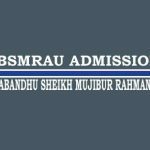 According to the latest news from Rajshahi University, This year Rajshahi university has canceled the MCQ System exam from the session 2018-19. Instead of MCQ based exam, the written exam will be taken. Rajshahi university declares about the exam system. According to the notice, Rajshahi University Admission test will be taken on the Written format. Total 100 Marks exam will be taken. There will be SAQ (Short Answered Question) and Descriptive questions. To apply for the Admission, Students have to obtain qualification to apply for the admission test. 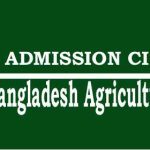 According to Admission Circular, there are no changes in the admission procedure. This year HSC result is not good enough. The overall quality is given below. 2) Law and Land Administration. Total Seat number of this Rajshahi University Unit is 200. The law department belongs to 150 seats and the remaining 50 seats for the Law and land Administration department. Students from Science are eligible to apply in this unit. The Subjects are based on the Science. These subjects include different science subjects. Business Studies faculty deals with different departments related to business. This faculty represents in D Unit. Candidates who are interested to study on business can apply to this unit. The Institute of Business Administration – 50. Bangladesh is an Agricultural Country. Agricultural Subject’s growing increasingly. In Rajshahi University, The Agricultural Faculty has been established to fulfill the demands. Engineering faculty is the applied subjects of Science department. There are six subjects in this faculties. J unit is for the IBA Students and K Unit is for Institute of Education and Research departments. To Apply for the RU Admission Application fees varies from unit to unit. The minimal application is 275 BDT and Maximum Fees is 825 BDT. That’s all about the RU Admission? If you have any other queries about Rajshahi University Admission, then let us know in comments. We are awaiting your comments. Thanks for staying with us. RU admission online application will start from 3rd September and continues till 12th September. Please update the information in this article. Anyway, thank you so much for providing us all the important information.